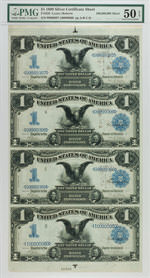 The Bebee collection was donated to the ANA by Aubrey and Adeline Bebee in 1987. 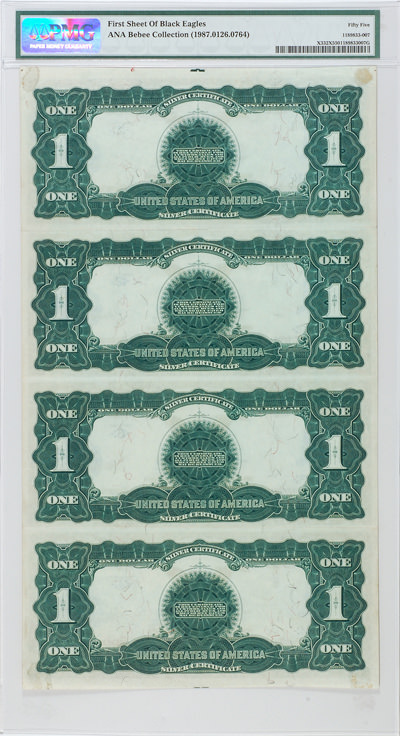 This is one of most comprehensive collections of US paper money ever assembled. 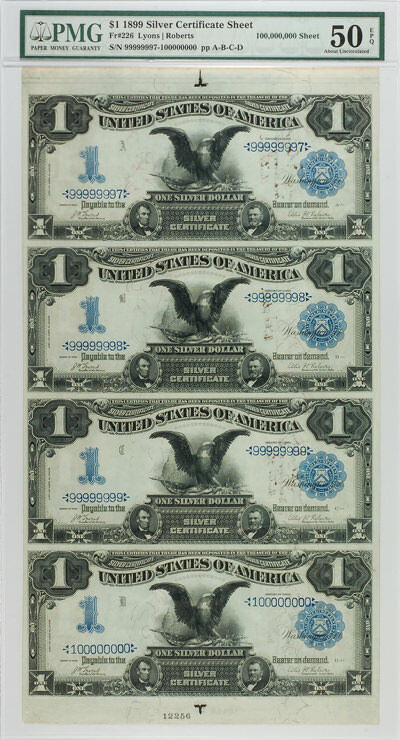 It features 904 notes, including national bank notes from virtually every state and territory and perhaps the finest collection of large size notes outside of the Smithsonian Institution. PMG was honored to grade and encapsulate this special collection. 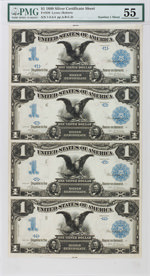 Among the many unique rarities are these two $1 1899 Silver Certificate sheets. 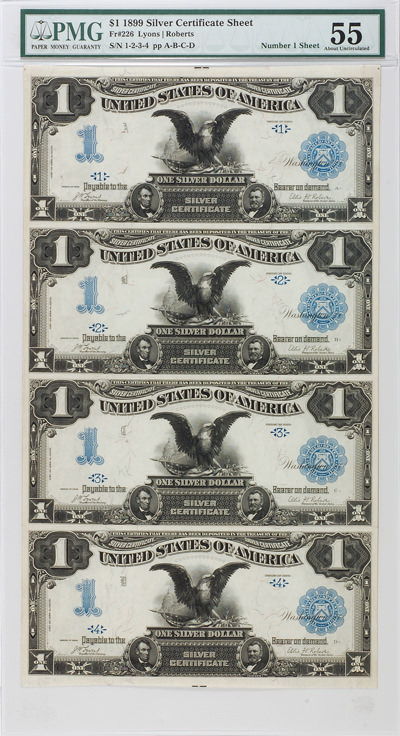 The BEP printed 100 million of the Friedberg 226 series. 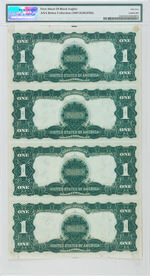 This collection includes Sheet 1 with notes 1 through 4 and the last sheet with note 100,000,000 of the entire Fr#226 series. 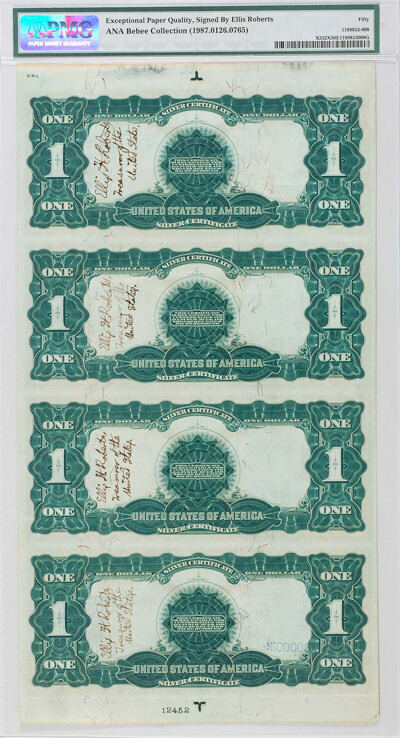 In fact, the last sheet is signed on the reverse by the Ellis H. Roberts, Secretary of the Treasury at that time. We will continue to share specimens from this special collection throughout the year. 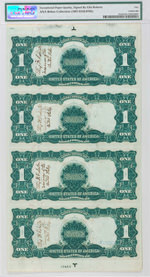 Part of the Bebee collection will be displayed at the ANA World’s Fair of Money in Boston, August 10–14.